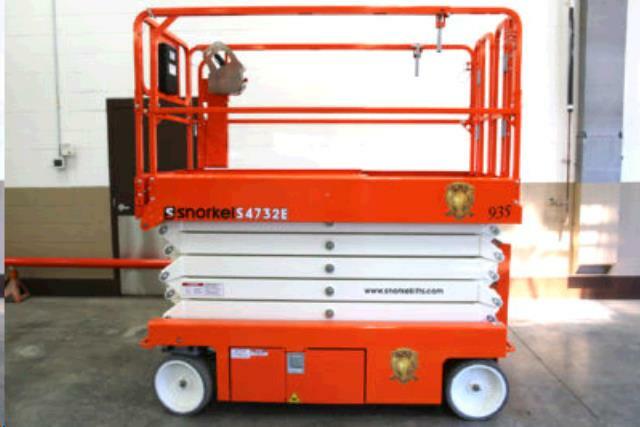 Lowered Height: guard rails up - 94.2"
guard rails down - 76.88"
Deck Extension Length - 48"
Rated Work Load - 700 lbs. Hydraulic System Fluid Capacity - 5 Gal. * Please call us with any questions about our manlift scissor 32 foot x 47 inch rentals in Bellevue WA, North Bend WA, Renton WA, and the Seattle Metro Area.